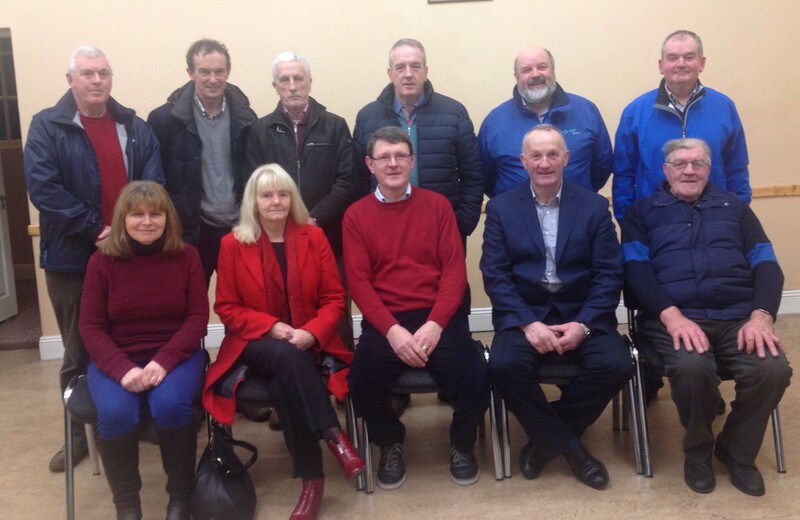 A large crowd, including many people who have had associations with Lisselan Estate over the last 70 – 80 years, attended the Dúchas Clonakilty Heritage lecture on “C. O. Stanley of Lisselan Estate” at the Clonakilty Parish Centre last week. For most of an hour, Dúchas member and local historian Fachtna McCarthy enthralled the audience with the life story of Mr. Stanley (born Charles Orr Stanley in April 1899). Fachtna traced his interesting and fascinating life from childhood growing up in Cappoquin, Waterford where his family had a hardware store, to his death in 1989 and burial at Kilmalooda Church of Ireland cemetery a couple of miles from Lisselan Estate, which he had purchased in 1930. He emigrated to England at a young age, served towards the end of WW1, and then developed his business interests and was very influential particularly during World War 2. He had a fascination with radio and the developing invention called television, and for over thirty years he was head of PYE – at the time one of Britain’s foremost electronic companies. Mr. Stanley led a campaign to set up independent television in Britain, thus breaking the monopoly enjoyed by the B.B.C. and he also championed the establishment of local radio. He was awarded both CBE and an OBE during the Second World War and an honorary doctorate from Trinity College. In Ireland, he was the head of Sunbeam Wolsey, Cork’s largest employer for many years and also established, among many other businesses, Unidare, one of Ireland’s largest industries in the 1960s. He was named “Businessman of the Year” 1960 in Britain after his successful challenge to break the monopoly enjoyed by telephone manufacturers. And while he was engaged in business at such a level in England, he spent as much time as he could at Lisselan. Fachtna stated that Seán Lemass was one of the regular visitors to Lisselan as he was trying to industrialise and modernise Ireland in the late 1950’s and ’60’s. It wasn’t always smooth sailing however and the family lost control of PYE in the late 1960’s and he got into financial difficulties. The developing Japanese electronics industry and importing of their cheaper appliances to Britain took their toll on PYE in a short time. He decided to put half of the 900 acres of the estate up for sale but this was dogged in controversy when the then Catholic Bishop of Cork, Dr. Con Lucey made a controversial public statement on the matter at a Confirmation Sermon in Timoleague. At Lisselan Estate, he was highly respected by his workers, their families and the wider community. He provided transport for children living on the estate to schools and also supported them financially to get into third level colleges and universities. He was married three times, had a life-long interest in rowing and was a strong swimmer, often swimming for miles off Rosscarbery and Clonakilty. He was also generous to charities and trusts he set up are still administered by his grandsons. In the interesting question and answer section after Fachtna’s lecture, a number of former workers relayed their happy experiences of working on the estate. They and others before them had spent long numbers of years working there and one man stated that at one stage there were 27 men employed full-time on Lisselan Estate. CO Stanley died in 1989 and was buried in Kilmalooda Cemetery and had been pre-deceased by his son John. Following his passing, the Lisselan Estate was put up for sale, and 28 years later is again on the market by the present owners.